Tomorrow, October 10, will mark 100 days in prison for journalist Alhagie Abdoulie Ceesay. His crime: committing acts of journalism in Gambia (or what local authorities would refer to as “seditious intention" and “publishing false news”). 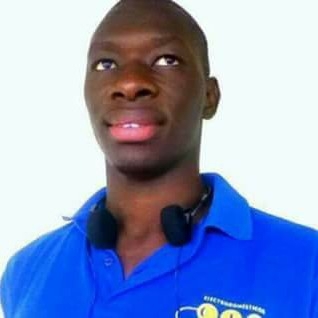 Ceesay is the manager of Gambia’s last remaining independent radio station, Taranga FM, which has been repeatedly shut down by the government since 2011. The station was prevented from broadcasting for nearly two years until an “act of goodwill” in January 2014 allowed it to reopen. That Ceesay, and other members of Gambia’s media fraternity, face constant harassment, intimidation and imprisonment is no surprise. President Yahya Jammeh -- who has been in power since a July 1994 military coup -- has carved out a notorious reputation for his violent intolerance of dissent, creating a “layer of fear” that is palpable in Gambian society, according to a March 2015 United Nations report. The criminalization of dissent in Gambia, and its deadly consequences, has prompted the regional ECOWAS court to claim that Jammeh has fostered a “climate of impunity,” routinely ruling against the government for violating the right to freedom of expression (multiple decisions, in fact, that the government has thus far refused to acknowledge or adhere to). A 2013 report by the Doha Center for Media Freedom notes that over 100 journalists, at the time, had been forced to leave Gambia since the 1994 coup. More recently, it was revealed that every member of Gambia’s Press Union has fled the country since 2009. During his time behind bars -- dating to July 2 of this year -- Ceesay’s lawyer has reported that his client is subject to routine torture by prison authorities, which the United States government has both taken stock of and denounced, and that Ceesay has been consistently denied medical attention, despite suffering from asthma. According to information from local sources, several individuals, including Ceesay’s girlfriend, have been forced to provide testimony against him. For too long, Jammeh and his brazenly offensive regime has evaded international scrutiny. During the past year, however, an international spotlight on Gambia has undeniably brightened, prompting a concerted effort by the regime in Banjul to deflect this well-deserved criticism. One can hope that this new reality will also prompt Yahya Jammeh to use his country’s limited resources more wisely, and finally uphold important African and international agreements -- as well as Gambia’s own constitution -- to protect the basic human rights of all its people.